Introduced earlier this week on the MasterCard newsroom, the credit card company has partnered with Standard Chartered Bank Singapore in order to release an interactive payment card that looks similar to a pocket calculator. 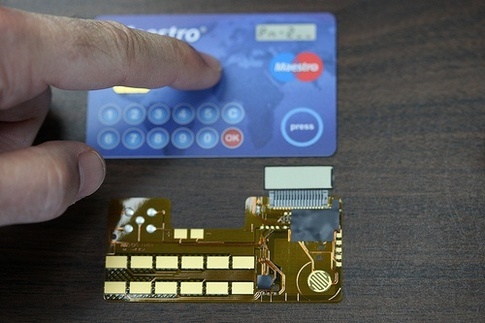 Located at the top right corner of the card, a member of Standard Chartered Bank Singapore will find a liquid-crystal display that shows up to six digits. Along the bottom front of the card, the user will find a a ten-digit keypad. There’s also an “OK” button to confirm the number entry and a “C” button to clear the number currently being displayed on the small LCD. At the bottom right corner of the card, the user will find a “ON/OFF” power button to activate the display. This card has been designed for transactions that require a higher level of authorization. When a new cardholder first acquires the card, they will be able to generate a one-time password as an authentication security measure for the future. Regarding uses for this new security feature, the Standard Chartered Bank Singapore is using it for transactions above a specific amount, altering personal details connected to the account number and adding third party payees to an account. According to MasterCard, the company is also looking into utilizing the LCD display on the card for other functions related to personal finance. For instance, the display could show the current balance on the account or the remaining available credit. Eliminating the need to visit the company’s site to check out this information or wait on a paper statement, the card could also display recent transactions to help catch fraudulent use more quickly or show the current number of reward points currently attached to the cardholder’s account. 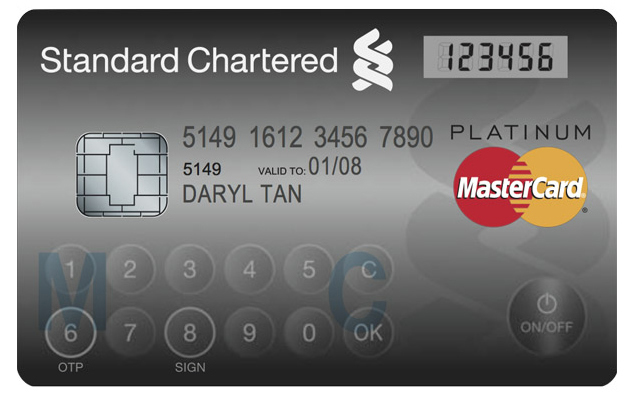 The Singapore subsidiary of the London-based Standard Chartered bank will start rolling out the new card to customers around the world during January 2013. As of today, MasterCard hasn’t announced any partnerships with banks within North America that could roll out this technology within the United States. According to ReadWrite, Visa has a similar card rolled out in Europe. The Visa CodeSure Matrix Display Card offers an eight-digit, liquid-crystal display on the back of the card along with an extremely similar keypad. The battery within the card can last up to three years and customers that want the CodeSure card can use it as a credit, debit or prepaid card. According to Visa, customer service representatives with the banks that issue the card can use the numeric password as a way to prove they are interacting with the person that actually owns the card. The design had been tested within Europe since 2008, but finally launched commercially during late 2011.